Football Scout who will be the next big thing in world football? You can become a writer for us! Want to publish your own articles? Click here to signup for an account! 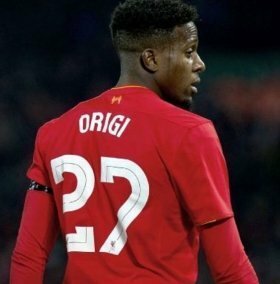 Tottenham Hotspur are reportedly weighing up a move for Liverpool striker Divock Origi as they seek to cover up the injury absence of Harry Kane. The north London giants suffered a major blow during the previous weekend after Kane suffered an ankle ligament injury which is expected to keep him out of action until March at the least. According to The Telegraph, Spurs boss Mauricio Pochettino has been handed a £50m kitty to spend on a marksman after the recent setback for the England captain. However, the Argentine tactician may still prefer a cut-price deal with Liverpool's Divock Origi and West Bromwich Albion's Jay Rodriguez highlighted as probable options. Spurs are currently with two centre-forward options in Fernando Llorente and Vincent Janssen to take up Kane's position in the starting XI but the latter has already been told that he has no future with the club. Based on this, Llorente should most certainly lead the line when Tottenham Hotspur take on struggling Fulham in the weekend's cross-town derby on the road. West Ham United ready to swoop for Fulham striker? Tottenham Hotspur favourites to sign Fulham star? Follow the latest football transfer news in our football transfer centre. Keep track of upcoming moves during the 2019 January transfer window. Copyright © 2007 - 2019 Eyefootball Ltd. All rights reserved. The news and views discussed here are those of the participating users, and do not necessarily represent or have the endorsement of the editors of Eyefootball.